Hello Frndzzz.... www.dealsnloot.com Back With New DataBack App Loot Trick. Databack is the app, which is quite similar to the Gigato app. you just have to refer friends & download apps, for earn free data packs. nowdays, data packs prices are very high, so it’s very difficult to recharge data packs. 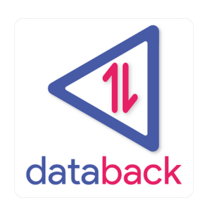 DataBack App – This is a Good app to earn Unlimited Free internet from downloading some apps or via sharing with friends or family.Its same like as Gigato app.You will Get 10 MB for Register in Form of Signup Bonus and 15 MB per Refer. 3) Enter your number, name and email. 4) Now Click On Have A Referral Code and enter our refer code :- VIS40 and apply it. 6) Verify your mobile number. 7) That’s it. You will get 10MB data in your account. 8) Earn more data by completing simple offers. First of All Login or Sign up with above Process. Open this app Normally, Click on Top Left corner and Select “Invite and Get Data Pack” button. Start Referring with Friends You will Get 15 MB Per refer If they enter Your Refer code while Registering.